A spoonful of Sugar – the Engineer Strikes Back! This isn’t the blog post I’d planned for today but Lord Sugar’s comments on the latest episode of the BBC Apprentice series can’t go unanswered. This Management Today blogpost provides the background and some commentary. In the process of firing Glenn, Lord Sugar commented that he’d never met an Engineer who was a good manager. He must have been walking round with his eyes closed and / or not listened to anyone for long enough to find out about their background. In fact one of the panel, he uses to make the selection of the finalists, Bordan Tkachuk – CEO of Viglen, whilst not a fully qualified Engineer, has a technical background with a HND in Computer Science – I wonder what he thinks of his boss’s comments? We dilute the value of Engineering, Engineers and Engineering Qualifications by allowing anyone who does any task remotely connected with any type of machinery or process to call themselves an “Engineer”. It takes a degree and around 7 years postgraduate training and experience to become a Chartered Engineer – which is comparable with other professions. Even businesses which ought to know better do it. British Gas which employs many professionally qualified Chartered Engineers thinks it is acceptable to call the person who fixes your boiler an Engineer. These valuable workers would be better described as Fitters, Mechanics or Technicians. This common use of the word “Engineer” would be illegal in Germany – I wonder why Germany has a much better reputation for Engineering than the UK? We don’t put enough effort into management training, preferring the “gifted amateur” approach referred to by the late Sir John Harvey Jones in his book “Making it happen”. There appears to be a deeply rooted antipathy to training in the UK, both on the part of the managers and of those to be trained. It is possible that this stems from historical attitudes. We have always admired the effortless amateur who can ‘beat the professional at his own game’ and we have always been somewhat contemptuous of intellectuals and academics. ‘Real men’ in our folklore are men of action, and we admire physical courage more than moral integrity. But there is no doubt in my mind that training in Britain is a grossly undervalued source of competitive advantage. Professor Michael Porter [with Christian Ketels] of Harvard Business School made much the same point in his 2003 report – UK Competitiveness: moving to the next stage to the then DTI. Properly trained professional Engineers can become excellent managers and the combination of skills from both arenas is needed to re-build our reputation and capability. Not everyone, whatever their background, can become a great manager, nor would we want them to. Some accountants make great managers, many don’t; some marketing people make good managers, many don’t; it’s just the same for Engineers. A basic knowledge and understanding of Project Management would not go amiss with the candidates in The Apprentice who seem incapable of working out the objectives of each task and structuring an appropriate plan of action. 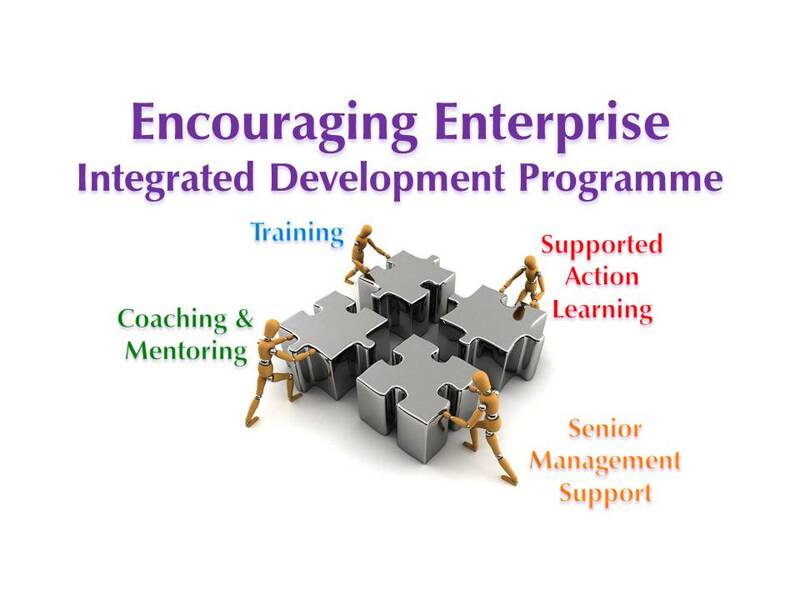 Encouraging Enterprise is an integrated development programme designed to provide professionals of all types with the commercial, communication and entrepreneurial skills they need to succeed in management and business development roles. Please contact me for more details. For the record, I’m a Chartered Engineer and a Fellow of the Institution of Chemical Engineers. I’ve been in management and business for more years than I care to mention and took an MBA several years after I too had been thrown in at the deep end! « Is it simple yet? I am not an engineer myself. I sometimes work with engineers, training them in management. I think I get where Lord Sugar is coming from. However, my own experience is different to his. I wish that more managers were also engineers! If I were to generalise to the whole category ‘engineers’ I would say that I find them to be highly creative and practical managers – not always easy to combine these two qualities and I have never met an engineer who didn’t do it. I also think that one thing we should have learned from the last 50 years or so is that it is very dangerous and inappropriate to stereotype people. We are all individuals with different sets of skills and motivations. Of course, it is possible that Lord Sugar has only met a couple of engineers!. I have met many engineers who were promoted to management, but no managers who were promoted to engineering. First it is project managers (which he ridicules by calling one of the foools he has to choose from a project manager) and now engineers. As with PM, engineers suffer from anyone being allowed to call themselves whatever they want. I think I will try going about saying I am a Barrister because I once saw an episode of Rumple of the Bailey (if thats what he was?!?!? )when I was a kid.